The allure of European fashion is irresistible even if you’re just buying clothes for your children. However, for most of us who don’t really come from Europe, finding perfectly-fitting clothes can be a real challenge. It’s because their Children’s Clothing sizes are much different from what we’re used to. To help you navigate the complicated world of European Kids Sizes for clothes, you may refer to our helpful European Kids Size Chart overview below. 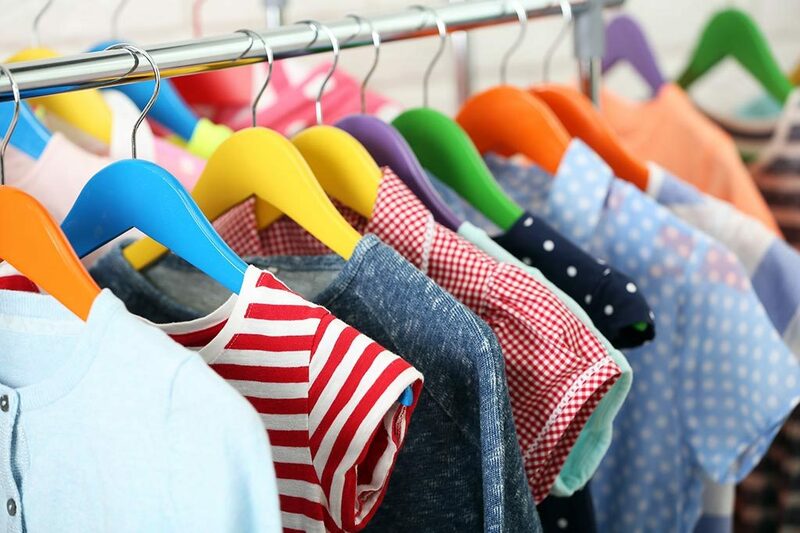 There may be a semblance of uniformity in children’s clothing sizes. However, don’t be surprised if it turns out that Children’s Clothing Size Conversion Charts are inconsistent after all. Various countries have established their own systems when it comes to clothing sizes, and usually, clothing brands aren’t even required to follow them. 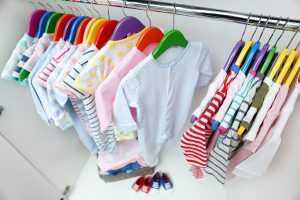 To find the right fit of European clothes for your kid, you must take note of his age, gender, height as well as weight. However, for more accuracy, you need to take note of specific body measurements as well, including the (1) chest, (2) waist, (3) hip, and (4) inseam. Just like in America and Australia, children’s clothing sizes in the United Kingdom are based on age. But as for the rest of Europe, the sizing system for kids’ clothes are based on height instead. Moreover, unlike in the U.S., Europe’s Kids Sizes measurements are in centimeters and not in inches. In the meantime, you may refer to the table below as a guide for European Kids Sizes. However, it is best that you get the sizing chart of the European brands you patronize. At some point, you may find yourself vacationing in France or Spain and visiting every clothing stores on sight. Or, you may just be harmlessly browsing through the online store of a famous European clothing brand. And sometimes, you just couldn’t help but buy something for your kids because you could imagine how good they would look in it. But how do you find the right size? If your child is a size 6 in the U.S. kids size chart, what’s the equivalent size in a particular European country? Other clothing sizes for kids you can find here. Asian kids clothing sizes are here. U.S. sizing for kids, like in the United Kingdom and Australia, are based on age. Children’s clothing sizes in the rest of Europe, on the other hand, differ because they base their sizing on height. Moreover, measurements are not in inches, but in centimeters. And so, you need to refer to conversion charts if you want to get the right clothing fit for your child. Make sure you find one that contains specific body measurements so that all you need to do is to convert American inches to European centimeters. The collection of Size Charts for Children below, can help you with finding the right fit for your offspring. You can convert from US and UK sizes to EU sizes easily. Tip: If you want your child to wear the clothes you buy for a bit longer than most, then buy attires that are a size larger. Find here more information about Kids Pants Sizes or about Kids Jeans Sizes. The above table is also suitable for Kids Jackets and other tops. Tip: If your child is old enough to try on clothes, why not take him shopping with you? You won’t just know immediately if you found the right clothing size, it’s also a great chance to bond with him. Trace the outline of both his feet on a piece of paper. Make sure you begin tracing from the highest point of the longest toe to the tip of the heel. Record his foot length in inches as well as in centimeters. Use the kids shoe size chart of the brand you patronize to correctly determine your child’s corresponding shoe size. For babys, use the baby shoe size chart. Tip: The shoes don’t have to exactly fit your child’s feet. Rather leave enough wiggle room, for comfort and growth. Add 0.5 to 0.7 inches to the length of your child’s larger foot. Given the difficulties that come with converting European sizes to American sizes and vice versa, the best tool you can count on is a cloth measuring tape. Keeping your kid’s age, height, and weight in mind is very important. However, knowing his specific body measurements will increase your chances of getting his size right when shopping clothes online. So how do you take your child’s measurements? Well, the first thing you need to remember is that you have to do it on his bare skin. As for how you can take accurate measurements of specific body parts, you may refer to the guide below. Chest. Measure the fullest part of the chest area. Waist. Measure the natural waist, which is situated near the bellybutton area. Hip. Measure the fullest part of the hips while the child is standing straight. Inseam. Measure the length of the inner leg. Start from the crotch area until the tape reaches your child’s ankle. Once you have an updated record of your kid’s measurements, you can use the sizing and conversion charts below to find his corresponding size. But don’t forget that these charts are merely helpful guides. It is better if you refer to the size charts of the brand or retailer you want to purchase from. 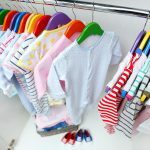 There may be a semblance of uniformity in children’s clothing sizes but don’t be surprised if it turns out that they are inconsistent after all. Various countries have established their own systems when it comes to clothing sizes, and usually, clothing brands aren’t even required to follow them (like in the United States, for example). That’s what makes shopping clothes for your little one so frustrating sometimes; there is no compulsory and international standard that everyone must follow. Your child may be a size 6x in one brand but a size 7 in another or even a size 8. That’s why even if you’re well-acquainted with international clothing sizes, you might still have a hard time getting the perfect fit your kid. Even within Europe, some countries still follow their traditional sizing charts instead of fully applying the established European sizing guide. And so, always remember that the conversion chart found on this page can only be used as a guide since it can’t guarantee that you will get an accurate clothing size every time.